Cath Burke is moving up to deputy managing director of Little, Brown Book Group, reporting to managing director Charlie King. King said: "Cath has made an enormous contribution to the company since joining in 2010, powering Sphere’s fiction list to strong sales and profit growth, and directly overseeing the publishing of many of our biggest authors, including Carole Matthews, Nicholas Sparks and Alex Marwood. Cath has done an exceptional job running Sphere Fiction, working with her brilliant colleagues in achieving outstanding success for Sphere’s stellar list of brands, which also includes Clare Mackintosh, Mark Billingham, Val McDermid, Jenny Colgan and many more. 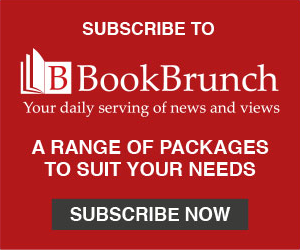 "She has helped deliver spectacular growth working with our industry-leading rights and audio teams, and has been instrumental in driving the special publishing relationship between Bookouture and Little, Brown. I can’t wait to work even more closely with her in her new role." The changes also see Malagoni promoted to Sphere Fiction publisher, reporting to Burke. In her new role she will run commercial fiction for Sphere, overseeing publishing strategy, and the imprint’s fiction editorial team will all report to her. Burke said: "Lucy is an outstanding editor, publisher and colleague and we are thrilled to be promoting her to Sphere Fiction publisher. 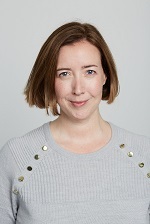 Lucy will oversee the best commercial fiction team in the business and I look forward to her helping deliver even more success for our incredible authors in her new role."